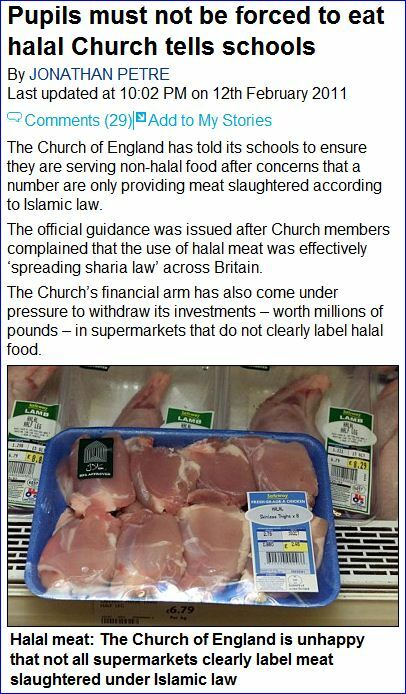 CHURCH OF ENGLAND: NO FORCING NON-MUSLIM PUPILS TO EAT HALAL……. – The Tundra Tabloids……. Previous Post Previous Post MUSLIM BROTHERHOOD PROPAGANDIST: THE MB IS NOT THE ENEMY OF THE WEST……. Next Post Next Post ALLEN WEST INTERVIEWED AT CPAC…….